I only used the inner part of the design. 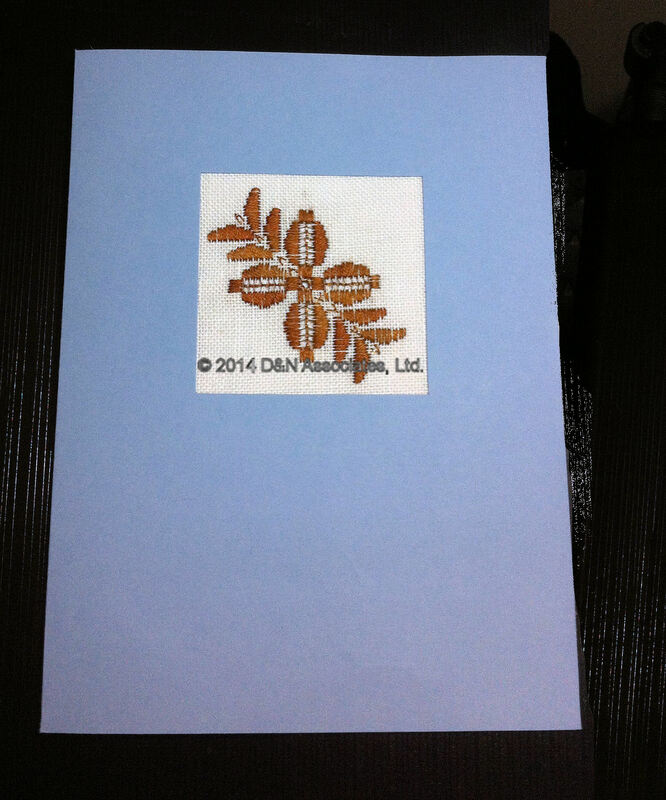 It is stitched on 30 count evenwear Linen, color is White Swan (a soft white). The floss I used is two strands of Crescent Colours hand dyed Brandied Pears, 100% cotton. Nordic Needle sells this periwinkle blue tri-fold window cards. Card size 6 in x near 8 inches with a 2.65 square cut out.